We had a great time at this years Maker Faire in Newcastle over the weekend of 13th and 14th March 2010. My kids, who are almost teenagers, were dragging their heels as we left our parked car, totally sure they weren’t going to have a good time as we walked towards the Centre of Life. I don’t think I saw a single kid, young or old who wasn’t enjoying themselves. I had a great chat with John Honniball about his UK101’s he was displaying (I wish I had one for my collection of retro computers 😉 ) and his Arduino music synthesiser. We met up with Jim and Kat from Sonodrome who were showing off their PSOC (pocket oscillator) and Tubby amps. On Sunday Jim help Sid build his own PSOC. He took it to school for a show and tell and his teacher and class loved it. His teacher was especially impressed that Haydn had soldered it all himself (with a little help). Abs, not to be left out, spent the afternoon building a mignonette handheld LED game at the Maker table with a little help from me. Recently I’ve been working on XArduino which is a XMOS XS1 L1 co-processor for the Arduino open-source electronics prototyping platform. 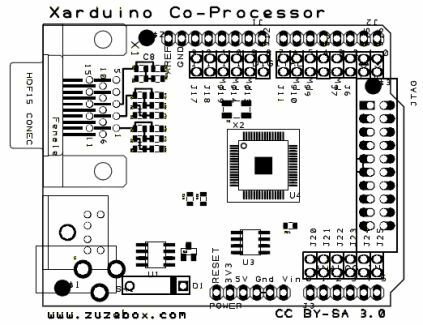 The XArduino board provides Arduino applications with a 400 MIP’s multi-threaded 32-bit co-processor, as well as providing a VGA video output and PS/2 keyboard/mouse input for Arduino application. It features a standard XTAG-2 to for programming and debugging. 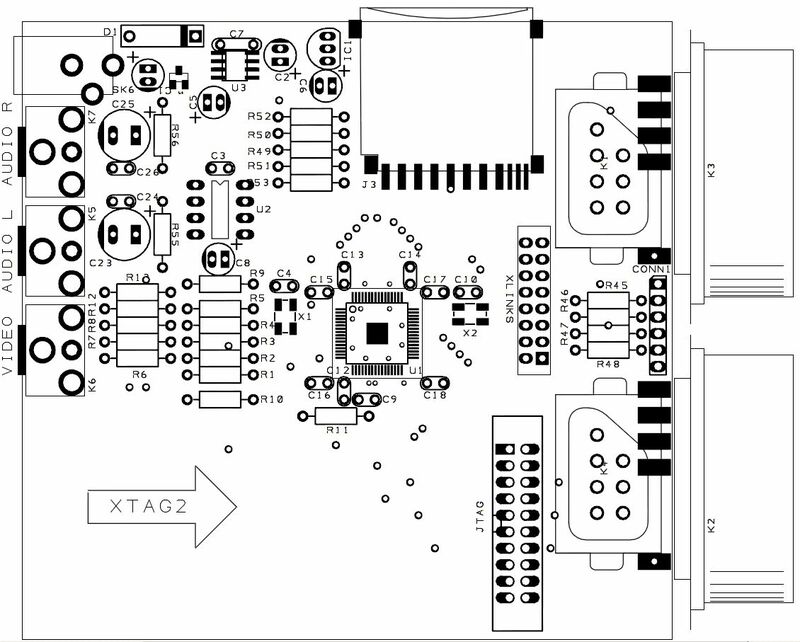 In addition the XTAG-2 interface will allow for XK-1 boards to access the VGA and PS/2 interfaces as well as way of connecting standard Arduino shields. “this new site is to create a community of enthusiastic XMOS users with an entrepreneurial spirit. We want to encourage you to share designs and code as well as develop your ideas.” . You are currently browsing the archives for the Xmos category.